Foreclosure lawyers may have a duty to set aside foreclosures that were based on robo-signed affidavits, under an ethics opinion recently approved by the Florida Bar. The opinion (below), produced by bar staff in January of this year, responds to a hypothetical question from an unknown lawyer. Under the hypothetical fact-pattern presented to the Bar, foreclosure judgements would have been entered based on affidavits signed by one person, who relied on a “highly experienced and conscientious assistant” to verify that the facts in the affidavit were true. Alerting the court to the procedural defects in preparing the affidavits—they surely are defective—might “raise red flags” that could “lead to complicated and expensive litigation” for the bank; but in the opinion of the bank’s lawyer, would not change the outcome of the foreclosure case. What, the lawyer asked, did he need to do to comply with his ethical obligation both to his client and to the court? The answer is the same regardless of whether the action is pending or judgment has been entered, whether there has been a sale or no sale as of yet… In the pending cases, if the client will consent to the affidavits being replaced, then the attorney may do so. The disclosure needs to be made to the court that the affidavit was improperly verified and notarized. [W]hether the case is currently pending or already closed, if the client refuses to give consent to the attorney to disclose, then the attorney must make these disclosures him/herself, preferably in an in camera proceeding if possible. Disclosure should be made to the presiding judge that the affidavits were improperly verified and notarized, and guidance should be requested from the court. What happens when a lawyer tells the court that his client has been manufacturing false evidence? It seems to me that the court has an obligation, if a foreclosure has been granted and a sale occurred, to at least re-open the case to determine whether the foreclosure judgment and sale should be set aside. In cases where judgments were entered on false evidence, I think every judge has, at a minimum, a duty to set aside the judgment, sanction the party who submitted the false evidence, and then allow borrowers to raise any defenses they might have, including those that arise from fraud on the court and unclean hands. (The latter defense means that a plaintiff who asks the court to foreclose—an equitable remedy—must come to the court free of trickery or deceit. Using false evidence to obtain a foreclosure by trickery or deceit may be a complete defense to foreclosure. The final paragraphs of the opinion involve quite a bit of backpedaling when it comes to full disclosure. The lawyer must take steps to protect the confidential information received from the client, apparently even to the extent of not telling the defendant. (That’s what in camera means—the judge reviews the information in chambers, outside the public view, and perhaps the defendant’s.) So if you lost a home to foreclosure based on a false affidavit, the banks and their lawyers have no duty to inform you, unless the judge thinks it’s proper to do so. 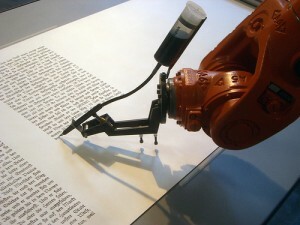 The only way to know whether you’ve got a robo-signer is to figure out who signed or produced the affidavit in your case, and see if they’re one of the well-known sources of false documents. 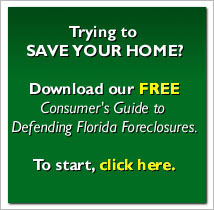 If you have one of these, no matter how old, you might have grounds to fight your foreclosure even today. And just in case you missed it, here’s this week’s news report that robo-signing is still going on, even today. Think the banks need more incentive to learn their lesson? GLARUM CASE: A RAY OF HOPE FOR HOMEOWNERS | Are You A Victim of Mortgage Fraud?